Professor Smith is a specialist in eighteenth and nineteenth century Russian history. 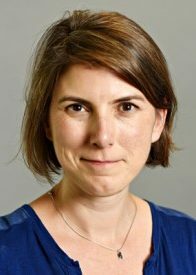 She has recently completed a monograph on social status and social mobility: For the Common Good and Their Own Well Being: Social Estates in Imperial Russia (Oxford, 2014), and has also published a series of articles on related subjects, including “Freed Serfs without Free People: Manumission in Imperial Russia,” AHR (2013). Her work on these projects was supported by grants from SSHRC and IREX. Professor Smith has also published a number of articles and a monograph on food in Imperial Russian history. The monograph – Recipes for Russia: Food and Nationhood under the Tsars (2008) examines the interaction between foreign knowledge and traditional patterns of behaviour in the production and consumption of food. Her various articles on specific aspects of this general subject include “National Cuisine and Nationalist Politics: V.F. Odoevskii and “’Doctor Puf,’ 1844-5” (2009); “Eating Out in Imperial Russia: Class, Nationality and Dining before the Great Reforms” (2006); and “Public Works in an Autocratic State: Water Supplies in an Imperial Russian Town” (2003). Work on these projects was supported by grants from the Fulbright-Hayes and Mellon foundations. Professor Smith also is an occasional blogger at Russian History Blog and tweets as @profaks. For more information on all these projects, see her website.